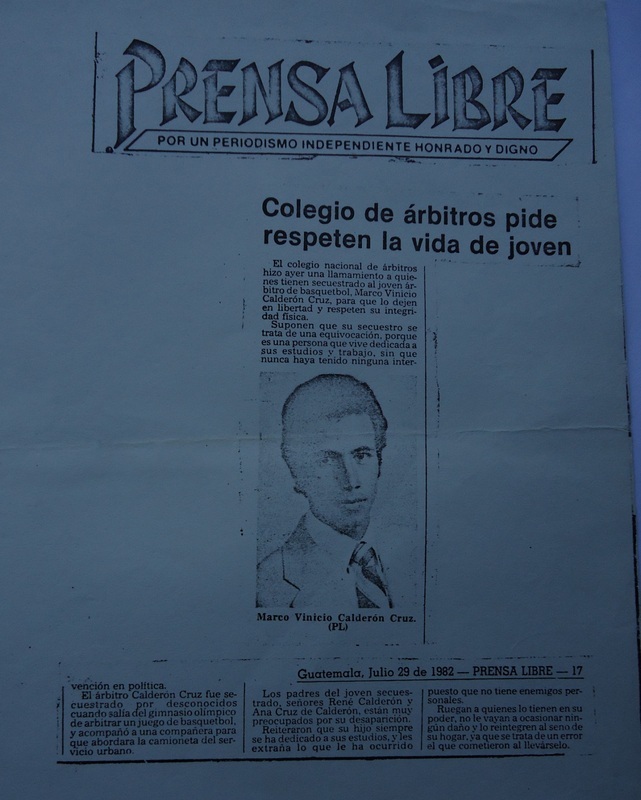 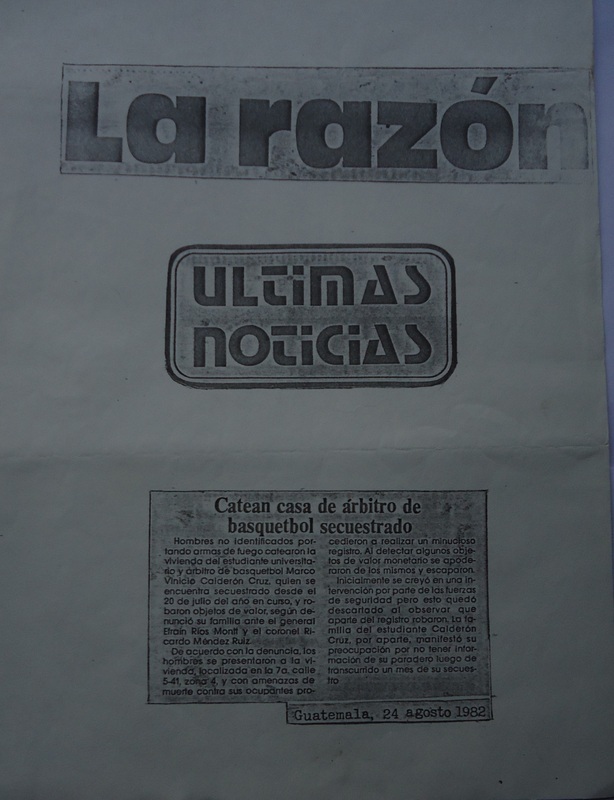 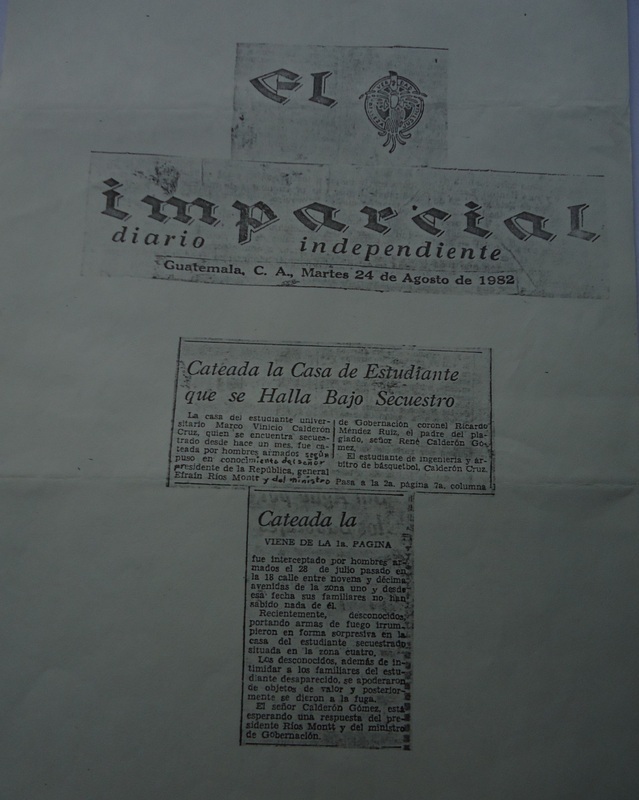 Diario La Hora, Guatemala, 19 de Agosto de 1982. 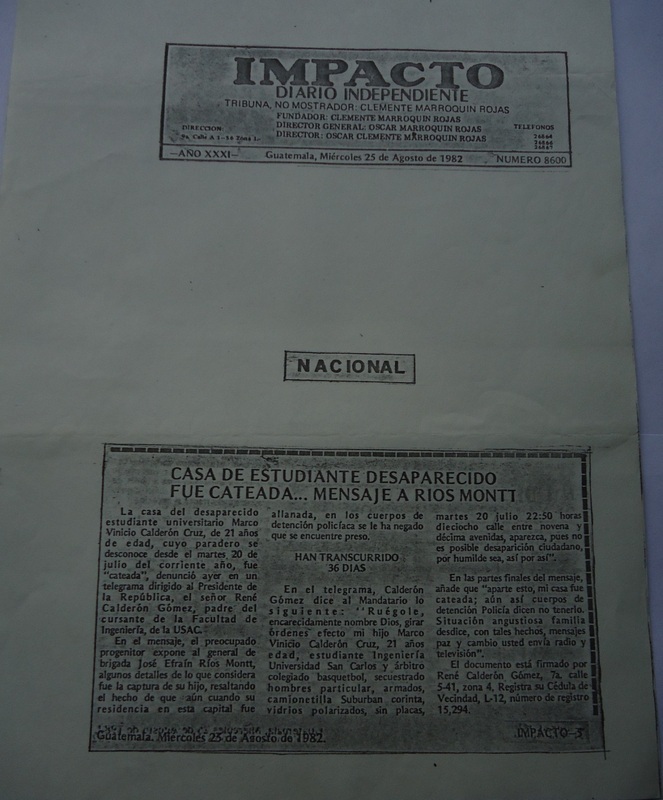 Message to the President, Gen Efrain Rios Montt and to the Interior Minister, Col Ricardo Mendez Ruiz. 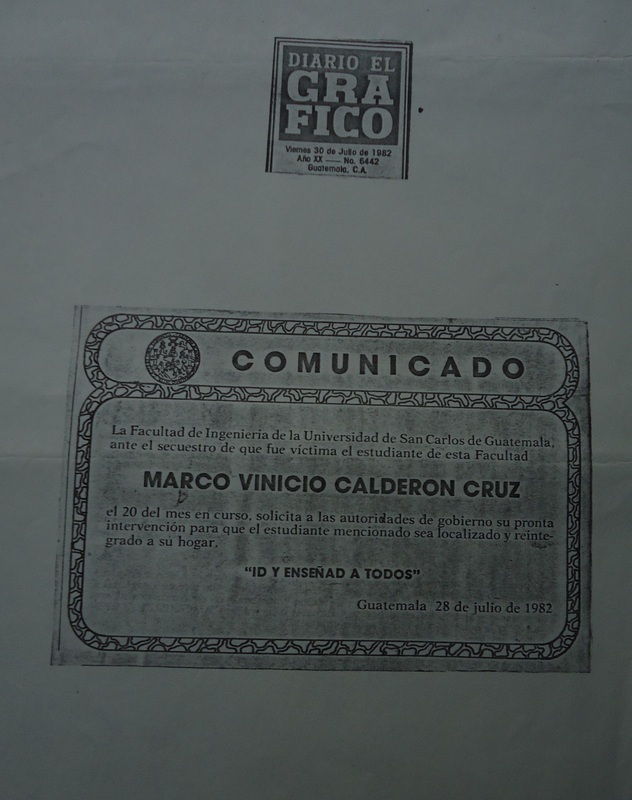 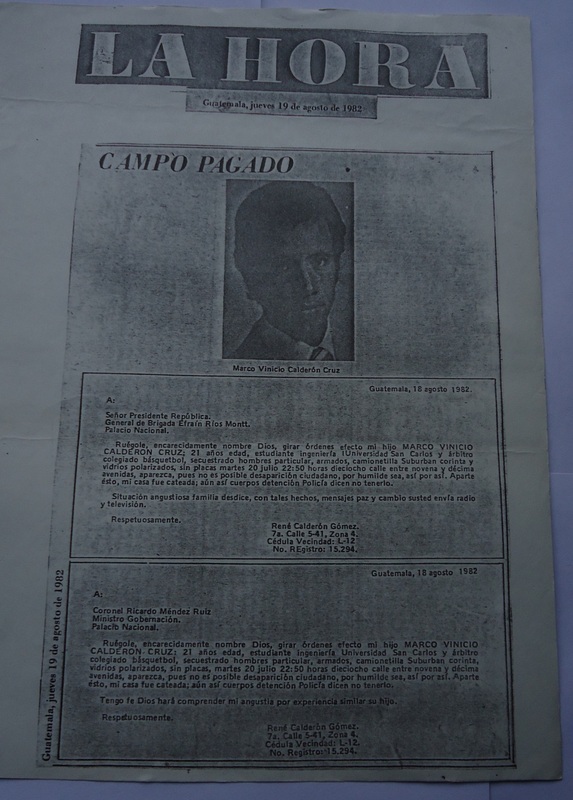 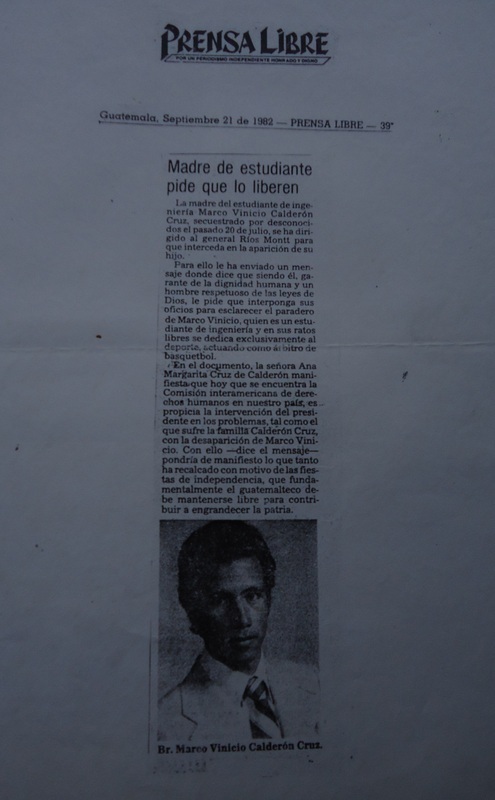 Diario El Grafico, 30 de Julio de 1982, commuique from the Faculty of Engineering, Universidad de San Carlos de Guatemala. 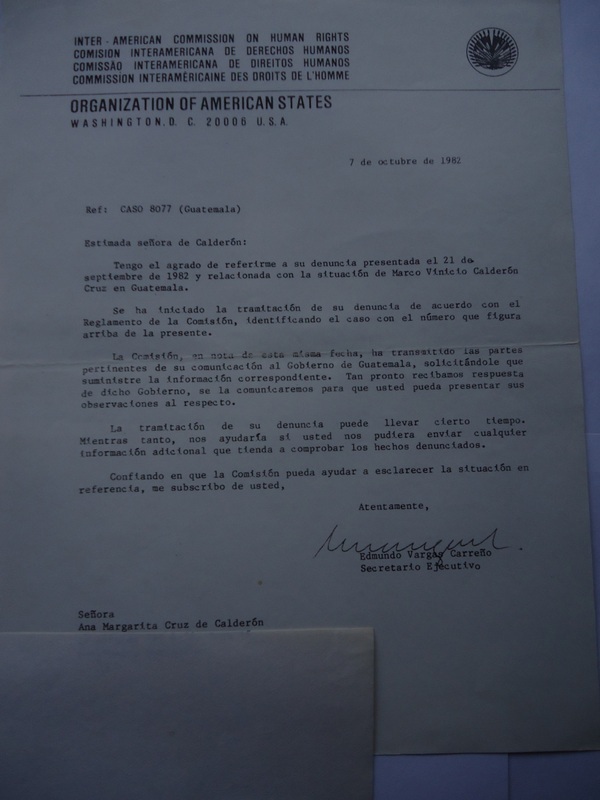 Letter from the Secretary General of the Inter-American Commmission on Human Rights of the Organization of American States regarding Vinicio's disappearance.